An attractive modern metropolis, is the historical capital with a fascinating history. 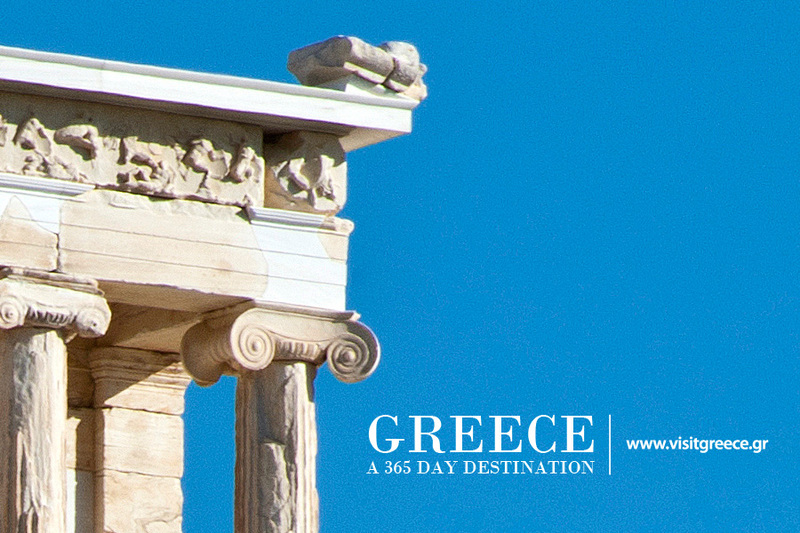 The city’s unique, splendid monuments are connected in a 3-kilometre pedestrian zone, leading to the major archaeological sites (“archaeological park”), reconstructing – to a large degree – the ancient landscape (Acropolis Museum, Hill of Acropolis, Thiseion, Ancient Agora, Plaka). Kallimarmaron stadium, Column of ancient god Olympian Zeus and the theatres of ancient god Dionysos and Herod Atticus are also near the area. Visiting museums, galleries, attending events and shopping or tasting delicious cuisine and drinks are the must of the city tour. In 30 minutes to the south, you are at the coast of the Saronic Gulf and southern suburbs to take a walk along the seaside, while you will also find many beautiful organized and free beaches, restaurants, bars, recreational and cultural parks and nightclubs. Also, in the area you may find many opportunities to hire a sailing boat or a yacht to the islands. The coast by the sea leads to Sounio’s archaeological site, where the amazing temple of ancient god Poseidon located on a rock by the beach. On the other way of the southern coastal line you may find the neighboring town of Piraeus, Greece’s main port with lively restaurants by the sea. Daily trips are operated from the port of Piraeus to the islands of Saronic gulf (Aegina, Poros, Spetses, Hyrda, Salamina), easily accessible all-year-round. Visitors here will enjoy natural beauty, historical treasures, unique architecture, and glamorous, yet romantic atmosphere. On the other direction, to the northern coastal line, is Marathon tomb at Marathonas village, from which the “Marathon” races got their name, due to an ancient historical event. Near there, close to the beach, is Vravrona site with the Temple of ancient goddess Artemis. Eleven kilometers (6.8 miles) northwest of central Athens, is Dafni monastery, a byzantine monument constructed on sixth century on the site of the Sanctuary of ancient god Apollo and one of the four Ionic columns of the ancient Sanctuary remains at the site. Dafni is lied on the “sacred way” that led to Eleusis, known as the town of the ancient Eleusinian mysteries. In Eleusis there is an archaeological site and a museum, which worth your visit. Additionally, a lot of wineries for wine tasting, mountains (Parnitha and Penteli) for hiking, cycling and walking tours give more opportunities for unforgettable holiday experiences in Attica. The numerous monuments, dating to many historical periods, coexist in a singular and charming way and manifest Thessaloniki’s historical multicultural and cosmopolitan nature. Elegant and refined, the “Lady of the North”, as it is called, is a modern city full of life, which welcomes those searching about its history and culture, or for fun, relax and shopping. History has deeply influenced the local cuisine as well, which offers a lot of recipes. Near the city lies the Halkidiki peninsula, which is full of nice beaches and hotels. Here is the town Stageira, which is Aristoteles’ birth town, the famous Petralona cave and many wineries with famous excellent white wines, as well as, red wines mentioned in the writings of Aristotle. Also, only men can visit inside the Mount Athos (Agio Oros =Holy Mountain) with the monasteries on the rocks by the sea. One hour by car from Thessaloniki, in the area Central Macedonia, you can visit the town Vergina, where was the ancient city called Aigai (“land of many flocks” in Greek) and it was the first capital of ancient kingdom of Macedonia. Here is the site of the Royal Tombs of ancient the Macedonian kings and the famous family tomb known as the “Tomb of Persephone”, with the incomparable fresco of the abduction of Persephone by Hades. The site is protected by UNESCO as World Cultural Heritage. One and half hour far, in eastern Macedonia near Kavala, is the archaeological site of Philippi, which also belongs in UNESCO’s list of World Cultural Heritage Monuments. The town renamed by ancient king Philippos II (Philippos, means “friend of horses” in Greek), the Great Alexander’s father and used it to control the neighboring gold mines of Mt. Paggaio, where he installed the Royal Mint. The city held a leading role of the Roman Empire on Via Egnatia (Egnatia Odos =street). Apostle Paul visited in 49-50 BC, in his second and third missionary journeys, he founded the first European Christian church and the settlement went on being the metropolis of Christianism. By the 7th century AD people left the city due to big earthquakes and the Slavic raids. During the Byzantine Period the town was a fortress with an Acropolis. The site includes the agora, a 40 sq.m. mosaic floοr, a palaestra with a little amphitheatre, a Roman Cistern where Romans imprisoned Apostle Paul, the Octagon, a large temple complex dedicated to Apostle Paul and three aisled basilicas churches dating back to 5th – 6th century.